While we dread the winters and pray for the warmth of the spring and summer, we do not realize the kind of damage that the summer can cause on our hair. If you have black hair, the summer sun can leave it dry and brittle. It can fade away the luster of the hair and make it look unhealthy and devoid of any gloss. We offer you some amazing summer hair care tips for black hair that will help keep your hair dark, shiny and healthy all summer long. It is not just the heat of the sun, but also swimming in the water, the excessive heat from styling and some of the products that you use on the hair that can damage the hair during summer. The chlorine in your swimming pool or even the sea salt in the ocean water can bind to your hair shaft and make it brittle and dry. 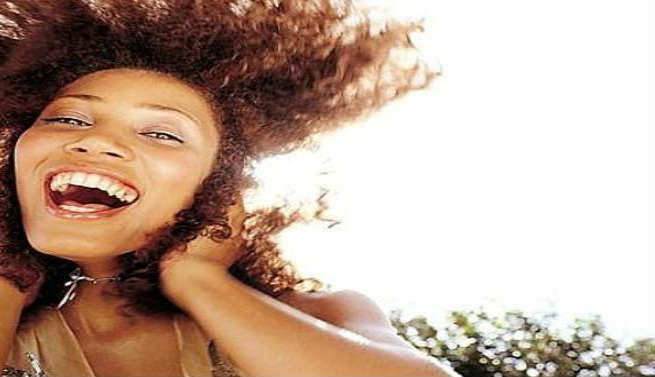 If you are wearing your hair naturally, then it tends to be drier than relaxed hair and can break off even faster because of the sun and the swimming. So to counter the effects of summer on the hair, you would need to first protect your hair from the harmful effects of the sun and the chemicals and also make sure that you condition and strengthen your hair to prevent further damage. Here is what you can do. If you are going swimming in the summer, then make sure that you use some leave in conditioner. Dampen your hair and apply some leave in conditioner along the length of the hair. Now you can confidently step into the pool knowing that the conditioner will act as a protective layer on the hair. If possible, wear a swim cap. Not just when you go swimming, use a leave-in conditioner on alternate days since it will keep your curls hydrated and your hair more manageable. Since black hair tends to be dry, make sure you use a gentle shampoo that does not over dry your hair. Cut down your shampoo frequency and do it just once a week, to keep your hair clean. Try a shampoo that is mild and has green tea or aloe extracts which will gently soothe your hair and moisturize it. If you are battling buildup of product or sweat from the summer heat, then you do not really have to shampoo each time. Rinse your hair with 1 part with one part Apple cider vinegar mixed with 4 parts water or else, use a diluted conditioner. Work with your fingertips on your scalp while rinsing. Ta da! that is all your buildup taken care of! You can choose the summer months to chop off some length from your hair to make it more manageable. You can even consider transitioning to natural hair during summer in order to reduce the amount of treatment that the hair has to go through. If you want, you can blow dry your hair after conditioning and press the roots gently when you are transitioning, so that your new growth matches the previously straightened hair. Do this intermittently, after which you can transition completely to natural hair. Your hair needs strengthening during the summer months. Oils can weigh down your hair and leave them greasy. The best option is to use a hair serum, they are light and they nourish the hair and do not damage chemically treated hair. When you step out in the sun, make sure you wear a wide brimmed hat or tie your hair with a scarf. Also experiment with sun protection hair products that will block out the UV rays that can fade and dry out the hair.